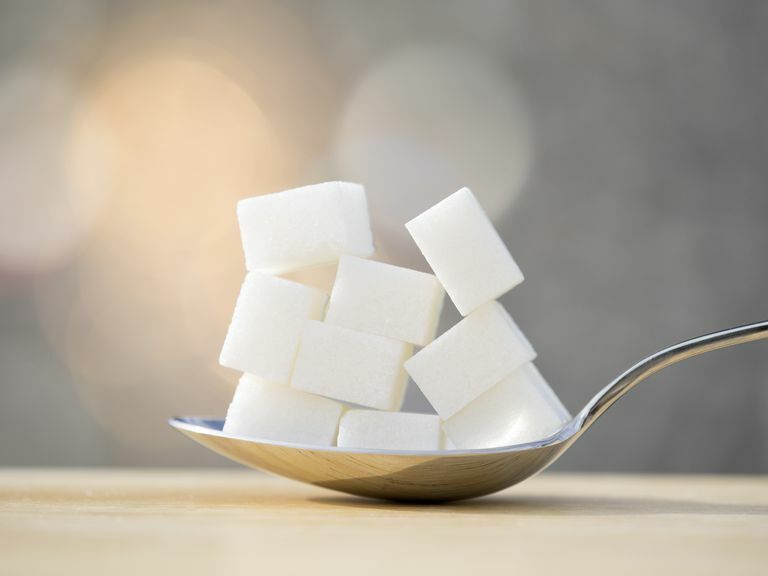 Does Sugar Intolerance Play a Role in IBS? Research points to a surprisingly high correlation between irritable bowel syndrome (IBS) and sugar (lactose, fructose, and sorbitol) intolerance. If you are dealing with IBS, learning about these studies may help you determine if a sugar intolerance is playing a part in your symptoms. Lactose intolerance is a condition in which a person experiences digestive symptoms after consuming dairy products. This is due to a deficiency of the enzyme lactase. It is thought that many IBS patients would benefit from eliminating dairy products from their diet. One large-scale study compared close to 500 IBS patients with 336 patients who were self-diagnosed as being “milk intolerant.” Close to 70 percent of the individuals in both groups tested positive for lactose intolerance based on the hydrogen breath test (HBT). The authors conclude that due to this high percentage, the HBT should be routinely administered to all patients who are thought to suffer from IBS. Unfortunately, that particular study did not include a healthy control group. A small study looked at the link between sugar intolerances and functional bowel disease. Specifically, the study had 25 patients undergo hydrogen breath testing after drinking a variety of solutions. These included lactose, fructose, sorbitol, sucrose, and a combination of fructose and sorbitol. Ninety percent of the study participants tested positive for a least one sugar intolerance. After dietary restriction of the offending substance, 40 percent of patients experienced marked symptom improvement. A much larger study also looked at lactose, fructose, and sorbitol intolerance in patients with functional bowel disorders. Of 239 patients, 94 met the diagnostic criteria for IBS, while the rest were categorized as having functional complaints. Using hydrogen and methane testing, 90 percent of the subjects were found to suffer from some type of intolerance. A large portion exhibited intolerance to more than one type of sugar. With dietary restriction, approximately half of the subjects in each group experienced significant symptom improvement. An alternative perspective comes from researchers who maintain that small intestine bacterial overgrowth (SIBO) is a major factor in IBS symptomatology. This theory maintains that SIBO can be diagnosed through the use of hydrogen breath testing after the ingestion of lactulose, a sugar that our bodies cannot digest. It is thought that if hydrogen breath levels rise soon after a person drinks a lactulose solution, this is evidence that bacteria are present in the small intestine. In turn, it causes the fermentation that results in breath hydrogen. In support of this theory, one study found that many of the subjects who tested positive for lactose intolerance using the hydrogen breath test also tested positive on lactulose breath testing. This suggests that the underlying problem was SIBO and not lactose intolerance. A larger study tested 98 IBS patients for the presence of SIBO and sugar intolerance. Sixty-five percent of these IBS patients tested positive for SIBO based on the lactulose test. These patients were significantly more likely to have positive hydrogen breath tests after ingesting lactose, fructose, and sorbitol than those who were not identified as suffering from SIBO. The SIBO patients were subsequently treated with antibiotics to the point of no longer exhibiting a positive response to the lactulose test. These patients were then seen to be significantly less likely to still test positive for lactose, fructose, and sorbitol intolerance. The researchers conclude that SIBO may be the cause of positive intolerance testing rather than a true intolerance of these sugars. Although there may be some debate about the true underlying problem, these research findings clearly show that there is a relationship between sugar intolerance and IBS. If you suffer from IBS, it is certainly important to assess the role that lactose, fructose, sorbitol intolerance, as well as SIBO, might be playing in your symptoms. A good place to start is to have a conversation with your doctor to see if any form of diagnostic testing for sugar intolerance might be indicated for you. You might also want to consider keeping a food diary and trying an elimination diet to see if restricting sugars helps you feel better. Fernandez-Banares F, et.al. Sugar malabsorption in functional bowel disease: clinical implications. American Journal of Gastroenterology. 1993;88:2044-2050. Goldstein R, Bravermna D, Stankiewicz H. Carbohydrate Malabsorption and the Effect of Dietary Restriction on Symptoms of Irritable Bowel Syndrome and Functional Bowel Complaints. Israel Medical Association Journal. 2000;2:583-587. Vernia P, DiCamillo M, Marinaro V. Lactose Malabsorption, Irritable Bowel Syndrome and Self-Reported Milk Intolerance. Digestive and Liver Disease. 2001;33:234-239. Pimental M, Kong Y, Park S. Breath Testing to Evaluate Lactose Intolerance in Irritable Bowel Syndrome Correlates With Lactulose Testing and May Not Reflect True Lactose Malabsorption. American Journal of Gastroenterology. 2003;98:2700-2704. Nucera, G. et.al. Abnormal Breath Tests to Lactose, Fructose, and Sorbitol in Irritable Bowel Syndrome May Be Explained by Small Intestinal Bacterial Overgrowth. Alimentary Pharmacology & Therapeutics. 2005;21:1391-1395.